I especially enjoy baking around this time of the year. 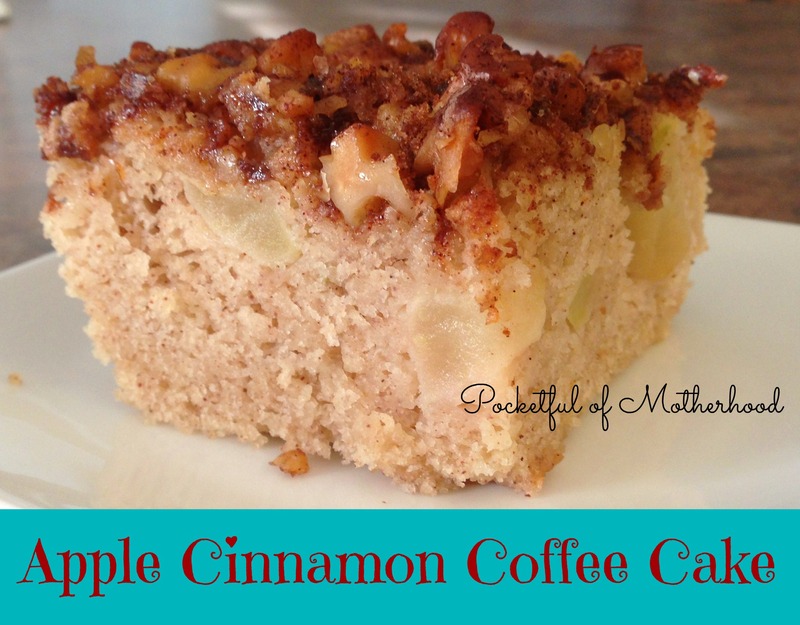 Last week I was in the mood to bake something for breakfast with apples, so I searched for recipes and found this yummy looking coffee cake recipe. 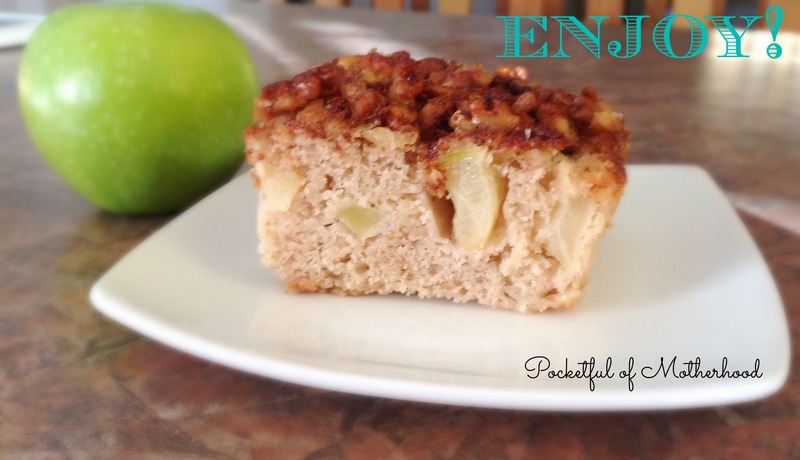 I made a batch of it and my family enjoyed it—my son asked for 2nd’s every time! 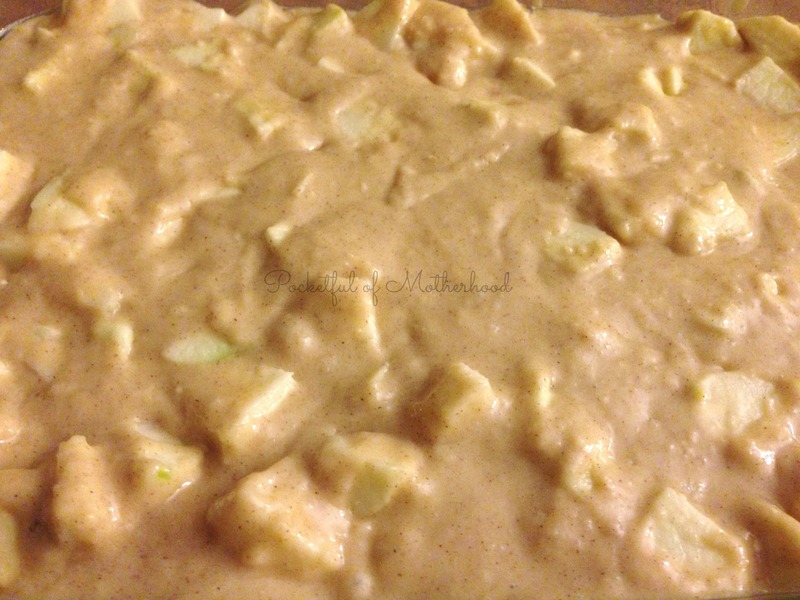 The batter is packed with lots of delicious apples. 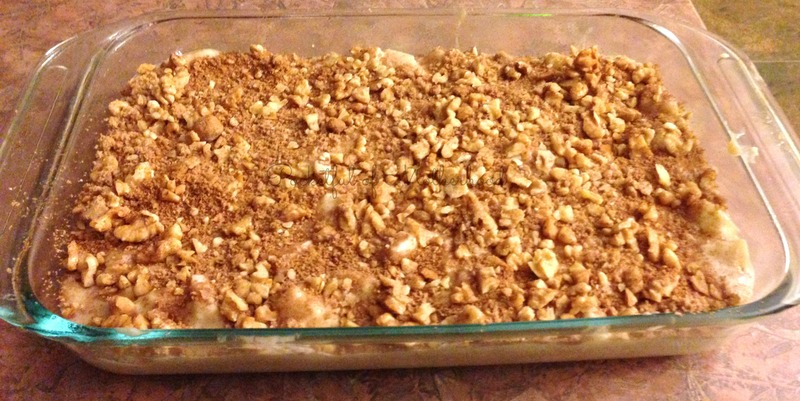 The topping is a delicious mixture of walnuts, brown sugar and a generous amount of cinnamon. It is delicious served fresh and warm out of the oven. The next day, you can also warm up a slice in the microwave for 10-15 seconds. 1. Preheat the oven to 350 degrees and grease a 9×13 pan. 2. In a mixing bowl, combine the flour, sugar, baking powder, salt and cinnamon. 3. In a separate bowl, mix together the melted butter, egg, vanilla and half-n-half/milk. 4. Add the dry ingredients to the wet ingredients and gently mix, but do not overmix. Stir in the chopped apples. The batter should be slightly lumpy. 5. Prepare the topping by combining the brown sugar, cinnamon and nuts. Evenly spread the topping over the batter. 6. Bake for about 50-60 minutes, or until a toothpick inserted in the center comes out clean. Time may vary slightly depending on your oven. 7. Enjoy warm! Cover and store remaining cake in the fridge after 24 hours.